I get the occasional email and Facebook message from people wondering how the adoption is going. Well, up til about a month ago it was going pretty well. Our social worker came to visit and do our individual interviews last month and it went great. But we have had some more speed bumps. We are still working on the next steps I blogged about, but in the mean time we are dealing with some issues. Long story so get comfy. One issue we’ve been dealing with I haven’t shared with many people yet. We found out at our first social worker visit (from our current agency with this current adoption. As many of you know this is adoption #4 we’re working on) some sobering news. It really set us reeling. Here’s the (abridged) deal. Quite a few years ago we found out the only way I’d ever get pregnant would be via IVF. We talked about it and realized that our DNA is no better than anyone else’s and we didn’t want to turn into science experiments to become parents. And why create a new child when there are SO many kids out there who need homes? Because the end result is that we just want to be parents. Pregnancy is a temporary state. Parenthood is forever. But we did try a couple rounds of Clomid. And we thought I got pregnant. But then it turned out it wasn’t a baby growing in there it was my fallopian tube all twisted up and enlarged. So that came out. We took our savings and turned them over to an adoption agency instead of a fertility clinic. We researched and decided on China. We spent time and money and had social worker visits. Then China changed their requirements and we were no longer eligible. So we researched some more and switched to Guatemala. We spent more time and money and had social worker visits. Then the whole Hague Treaty situation happened and Guatemala closed. Then some time passed and a friend told me about a birth mother in a neighboring state. We met and it was decided that we would be the parents to her baby. We were connected for about 5 months. We were SO excited. Then on our drive to Florida to board the Disney Wonder for Lisa and Pete’s wedding cruise our birth mother told me over the phone that she changed her mind. I cried through Georgia and Florida and lots of that cruise. After that we decided to take some time off. As a side note I’d like to point out that I didn’t have my hysterectomy until after we were knee deep in the China program. We never HAD to adopt. We CHOSE to. I can’t stand it when people say “oh you HAD to adopt”. Anyway, back to the story. If you know me then you know that I go whole hog when I get into something. I bought Chinese books and toys and dolls and learned Chinese on my iPod. Then I bought Guatemalan dolls and books and learned Spanish (again as I remembered very little from high school) on my iPod. We have had boxes and boxes of baby clothes and a room full of toys and even a toy chest. Tiny chopsticks. You get the idea. So with the failure of each of these adoptions we grieved. It felt like we lost a child each time. Our hearts broke each time. And now we’re almost 6 years into this adoption journey. But now we’re with an agency we trust. No we didn’t get our money back. And now we’re basically guaranteed a child. But there are still speed bumps. Back to the present. So our Social Worker (SW for short) told us at her first visit here that to be realistic we would need to up the age of the child we’d like from 0-3 to 8 years old. EIGHT. There is a HUGE difference between 8 and 3. HUGE. I mean, we grieved not being able to be pregnant. We grieved it not being easy for us. We grieved not having a newborn in the house. We grieved not having an infant. Yowza. SW said it’s not out of the realm of possibility that we’d still get matched with a child under the age of say 6, but it’s far more likely that if we want a child within the next couple of years, and a child without a wealth of special needs, that we’d need to broaden our scope to age 8. You may think “There’s nothing wrong with an 8 year old.” And you’re right. But when you dream of a baby for your whole life to jump forward that many years is a BIG deal. The other road block. Fingerprints. We are adopting through the foster care system. So we need to be fingerprinted. Mind you we were fingerprinted for China to the tune of over $700 but those fingerprints don’t count. Then the state of NC decided that they needed to revisit their fingerprinting policy for foster parents who want to adopt. We waited over a month to hear back from our SW. 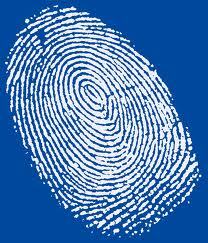 Finally we just found out yesterday that we will need 2 sets of fingerprints each. They can’t be taken at the same time. One is for fostering, one is for adopting. Wha??? Ridiculous. So that’s our next step. That’s where we are in the process. Over the next month or so we have more classes, inspections, SW visits, and lots of fingerprinting to get done. And then the official wait begins! Im so sorry you are encountering so many problems! We just had our finger prints done on Monday. The state of GA paid for them. Over here in GA- its a 3 month process for fostering- the classes, paperwork etc takes 3 months. Now- we are doing the foster program and not adoption, but we’ll still have the option open to adopt our foster child. Have you checked in SC to see if they are any more lenient since they are really close to you? Lotsa hoops to jump through, but I’m sure it will all be worth it in the end. I wish it could be easier for you right NOW though!! Hang in there. Just lots of HUGS from me. HUG HUG HUG HUG HUG! I don’t really know what to say but just wanted you to know that I’m still up here in Ohio cheering one of my southern gals on! Still rooting for you and I know you will have lots of love to give soon! !